Did you realize that your clutter can be seasonal? First, it helps to define what clutter is. Generally speaking, clutter is anything that is laying around your house that doesn’t belong there. Everything should have a place and everything should be in its place. That is especially true with things like coats, backpacks, boots and other winter clothing items. But it can also be true of winter “toys.” Things like sleds, snowboards and skis also should have a proper storage space and not just be tossed on the garage floor. Once those things are put away then they are no longer considered clutter. However, there could still be a lot of stuff “left over.” That’s the winter clutter that you want to get rid of and the best approach to that is hiring Junk King Columbus. 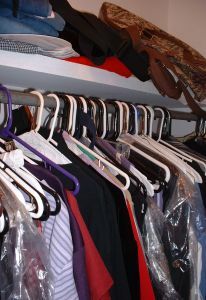 Going through your home to get ready for the holidays might have you sorting through your closet and dressers. You might discover there is a lot of winter outfits that you no longer going to wear. It is not because they aren’t warm but because they are either out of style or don’t fit anymore. Plus, there’s also the gift consideration. Think about some of things you might be getting on Christmas morning. Will you have room in your closet for those new outfits? All of that old unwanted stuff becomes more winter clutter that can be turned over to Junk King. A piece of furniture isn’t necessarily winter clutter but if it’s something you been wanting to get rid of for a long time, then that can also be turned over to junk King. You’re going to get two movers with the right muscle power to lift and load just about anything you want to get rid of. That can certainly change your list of what you consider to be winter clutter! The great thing about hiring Junk King is that they like to work fast. You could call them this morning and have your junk picked up by lunchtime. If the same day appointment is available then you can count on your junk being cleared by the next day. If you’re ready to get rid of your winter clutter, then you’re ready to give Junk King Columbus a call. This entry was posted in columbus junk removal and tagged jjunk King, junk removal, winter clutter on November 30, 2017 by Junk King. Last updated December 2, 2017 .